Cell layers of the retina. cones are circled in red. 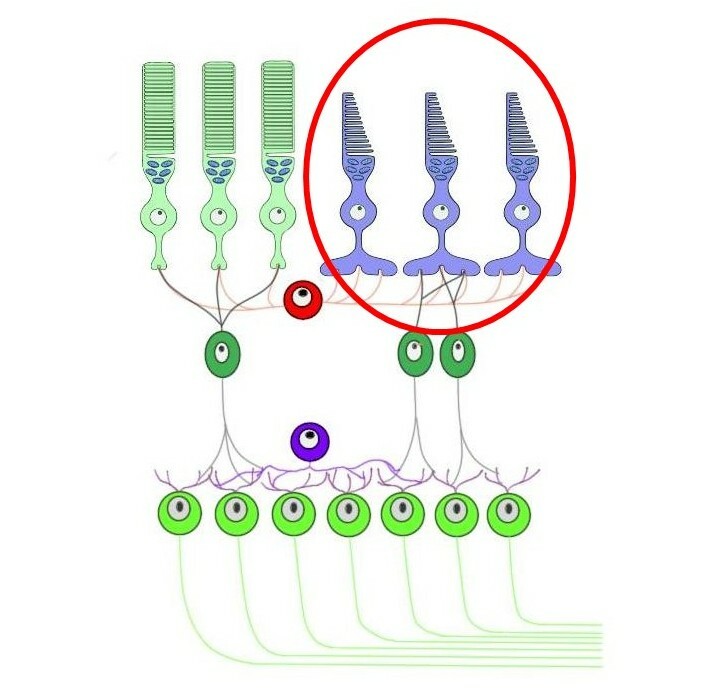 photoreceptors that are involved with color vision. Cones mediate high-acuity vision and are utilized when lighting is good.